Video conferencing used to be an expensive proposition requiring both sides to have expensive equipment that was fixed in a single room. Anyone that wanted to do a video conference had to reserve that room at a specific time. Back in the early days, it was questionable if the system was saving large companies any money at all. As for small companies, it was both cost ineffective and impractical because whoever you wanted to speak with had to have the same technology at their disposal. Well, those days and those concerns are long gone. The dropping cost of technology in general and the ubiquity of high speed internet access have made quality video conferencing options affordable to small businesses and even individuals. There are many benefits to video conferencing. Not only are they affordable, utilizing them can provide ways for small businesses to save money and build a competitive advantage. Traveling costs can put a lot of pressure on the budgets of small businesses. The cost of flying, hotel costs, rental cars, meals, etc. can add up. Sometimes, all that expense is for only a two hour meeting. Sure you can talk on the phone and email documents back and forth and talk about them, but that leaves something lacking. People want face to face meetings in some instances. 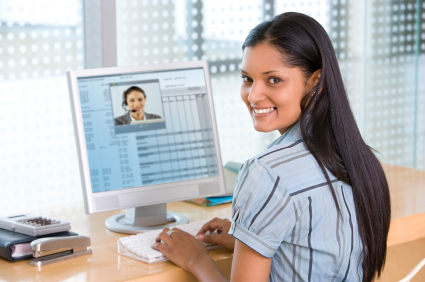 Video conferencing is now good enough that it can provide that face to face. You can see how someone reacts to what you say, you can share documents right on the screen and you can get 99% of the benefit of traveling there for a fraction of the cost. You can take video conferencing even farther than you ever could before. Now almost every laptop has a built-in webcam and stand alone webcams are very cheap. Essentially, you can video conference with anyone in your company without them even leaving their desks. You can leverage that ability aggressively and not even have office space for everyone in your company. Allow certain employees that don’t need to interact with others extensively to work from home. Then whenever you need to talk to them, video conference them in. If you are having a difficult time finding quality talent locally, you can hire telecommuters that live somewhere far enough from your office that commuting wouldn’t be feasible. That will allow you to avoid paying a premium for talent in your area or avoid paying someone to relocate. Also, you can hire in areas that have a lower salary than where you are and save even more money. Video conferencing allows tremendous flexibility and cost savings. Companies that leverage it properly can even the playing field with their larger competitors who often had the upper hand due to economies of scale. Now you can get some of the advantages that companies have only been available at scale historically and combine that with the flexibility that only a smaller company has been able to achieve. This article was provided by conferencecalls.co.uk.